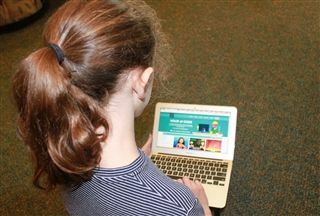 How Can I Ensure That My Child Is Using the Internet Safely? The increasing use of the Internet and cellphones by adolescents creates significant challenges for parents. When used appropriately, these technologies can add value to children’s lives by providing access to vast sources of information as well as meaningful interactions with family members and friends. But they can also expose children to disturbing images and ideas, harassment, exploitation, and violence. Even when Internet content is benign, the excessive use of technology drains children’s time and energy away from schoolwork, real-world activities, and face-to-face interactions. What can parents do to ensure their children are accessing the Internet safely, productively and appropriately when they’re at home? • Be sure to tell your child what technical measures you’ve taken to monitor them so that they don’t feel blindsided or snooped on. • Use the Internet safety programs built into computers. Windows users can access the Family Safety Account. Mac users can choose Apple’s Parental Controls. Both of these programs allow parents to block specific websites and applications, disable the built-in camera, and choose the people their children can message with. • Configure a safety service on their home Wi-Fi router. OpenDNS, for instance, offers a free program called Family Shield to block inappropriate content.This service allows parents to control all Wi-Fi traffic on devices and to block fraudulent messages and proxy servers (which children sometimes use to circumvent parental controls). • Parents who seek more granular control of their kid’s internet/social media usage can configure one of several programs on their child’s devices. These include AVG Family Safety, Qustodio and Net Nanny 7. • None of these systems is foolproof. Tech-savvy children can figure out how to bypass almost any protective program. • Encourage children to use a family desktop computer in a shared space that’s visible to everyone. If a desktop or laptop is located in a child’s bedroom, make sure that the screen faces toward the door. • Require children to charge any mobile devices in YOUR bedroom each night. This will prevent them from staying up late to play games, messaging or talking on the cell phone. • Obtain your children’s passwords. By being able to log-in to your child’s accounts at any time, parents can see everything their child is doing online. • Talk to your children regularly about Internet safety. The more children know about the distractions, distortions, and dangers of the Internet, the more responsible they’ll be as digital citizens. Ask them about their Internet activities and familiarize yourself with the sites your children are visiting. In your conversations, emphasize that there’s no privacy on the Internet and that anything they’ve ever posted is archived there. Even a brief Snapchat post can be screen-shot and permanently captured. Urge your children to tell you if they ever feel bullied, harassed or uncomfortable in any way when using technology. • Shifts in the location of Internet use. A child who always used the computer in the family room, for instance, might suddenly start using it only in his or her bedroom. • Tiredness or a crankiness. A child who is staying up late to be online or to text will be sleep deprived. • Decline in grades or loss of interest in non-computer activities. These could be signs of overuse of technology.